Nick Neidert does not have any MLB stats for the season. Draft: 2015, Seattle Mariners, 2nd rd. Nicholas William Neidert (NYE-dirt)... attended Peachtree Ridge High School in Suwanee, Georgia... selected as a First-Team AllAmerican and Southeastern All-Region First-Team by Perfect Game in 2015...went on a one-week mission to Guatemala in October 2018 for Living Water International as part of an adopta-child program. Finished season with a 12-7 record, 3.24 ERA (152.2 ip/55 er), and 154 strikeouts in 26 starts with Double-A Jacksonville, earning Marlins' Organizational Pitcher of the Year award...Led Southern League in wins and innings pitched, ranked second in strikeouts, tied for third in ERA, and tied for fourth in WHIP (1.13)...Named a Midseason All-Star in the Southern League, going 6-4, 3.16 (68.1/24) with 77 strikeouts in 13 starts prior to the break...Struck out 9.08 batters per 9.0 innings, which ranked third highest among Southern League starters...Had career-high 13 strikeouts on August 4 at Biloxi. Allowed one earned run on five hits (one home run) and no walks, over 8.0 innings. Surpassed previous career-high of 12 set on May 29 vs. Pensacola...It marked his third double-digit strikeout game of the season (11, May 17 at Mobile)... Tossed 7.0-or-more innings 10 times, including three 8.0-inning outings...Tossed 1.0 inning in the ASG in Birmingham on June 19, allowing one hit and striking out one...Held opponents to two-or-fewer runs 14 times, and to three-orfewer runs 19 times. Named California League Pitcher of the Year after going 10-3 with a 2.76 ERA (104.1 ip/32 er) in 19 starts for Single-A Modesto in Seattle's system. ..Was a Midseason and Posteason All-Star in the CL, going 5-3, 3.31 (73.1/27) in 14 starts before the break and 5-0, 1.45 (31.0/5) in five starts after the break...Lost three straight starts heading into CL All-Star break, his first three losses of season, then rebounded by winning all five starts after, earning promotion to Double-A Arkansas. ..Earned CL Pitcher of the Week honors for July 3-9 after tossing 7.0 shutout innings on July 6 at Visalia (4 h, bb, 6 so)...Struck out 9.4 batters per 9.0 innings with Modesto, and had 6.4 strikeout/walk ratio... Had season-high 11 strikeouts on June 8 vs. Stockton; also had double-digit strikeouts (10) on May 13 at Lake Elsinore...Made debut with Travelers on July 22; took loss vs. Springfield after allowing two runs on four hits and two walks over 5.1 innings pitched... Lost first three starts for Arkansas; snapped skid with a win in fifth start, on August 12 vs. Midland. April 2, 2019 RHP Nick Neidert assigned to New Orleans Baby Cakes from Jacksonville Jumbo Shrimp. 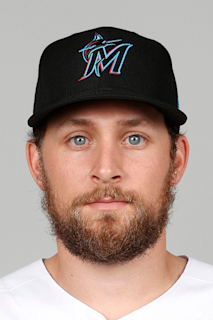 January 22, 2019 Miami Marlins invited non-roster RHP Nick Neidert to spring training. February 8, 2018 Miami Marlins invited non-roster RHP Nick Neidert to spring training. December 7, 2017 Miami Marlins traded CF Dee Gordon and Future Considerations to Seattle Mariners for RHP Nick Neidert, RHP Robert Dugger and Chris Torres. December 7, 2017 RHP Nick Neidert assigned to Jacksonville Jumbo Shrimp. September 28, 2017 Arkansas Travelers activated RHP Nick Neidert from the 7-day disabled list. August 19, 2017 Arkansas Travelers placed RHP Nick Neidert on the 7-day disabled list. July 18, 2017 RHP Nick Neidert assigned to Arkansas Travelers from Modesto Nuts. April 1, 2017 RHP Nick Neidert assigned to Modesto Nuts. May 24, 2016 RHP Nick Neidert assigned to Clinton LumberKings from AZL Mariners. June 16, 2015 Seattle Mariners signed RHP Nick Neidert. June 16, 2015 RHP Nick Neidert assigned to AZL Mariners.